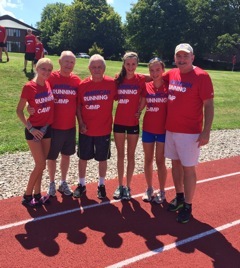 PRC is so proud to support the running community by offering young runners Walter’s Run scholarships to the American Running camp) in his memory. We call these young athletes “Walter’s Gang“. Please take a moment to read their words of gratitude. Here are a few thank you notes from some of our happy campers. Thank you so much for giving me the scholarship to the American Running Camp this year. The American Running Camp was such a great experience and really taught me how to love running even more than I already do. I learned so many new drills and techniques to bring back to my team at Boston Latin School, so that we will be even better for years to come. I met lots of great people and coaches, and the campus itself was such a beautiful place to be. Besides running, we did a lot of team-building activities like skits and trivia, and even the food was really good. Again, I would just like to thank you for picking me to receive the scholarship; I will be very excited to attend in the future because the camp was just such an amazing experience, and I would not have gone at all if I did not receive the scholarship, so thank you very much. Catherine Treseler with friends and running legends at the track! I wanted to thank the Parkway Running Club for selecting me for the Walter Burgess Scholarship! I had an amazing experience at the American Running Camp and learned a ton. The coaches were all incredibly successful runners who really cared about the needs of every camper. They taught us about everything from stretches to form to good core and strength exercises, and they were always available to give extra advice about running and racing. I loved the creative games and the workouts around the Portsmouth Abbey campus…it was absolutely beautiful. I truly believe that attending the American Running Camp will positively influence my cross country season this year and my running in general, and I have many new ideas and exercises to bring back to my team this fall! Camp gave me a jump start to the cross country season and I am super grateful to the Parkway Running Club for the wonderful opportunity! P.S. Looking forward to running the Walter’s Run again this December! 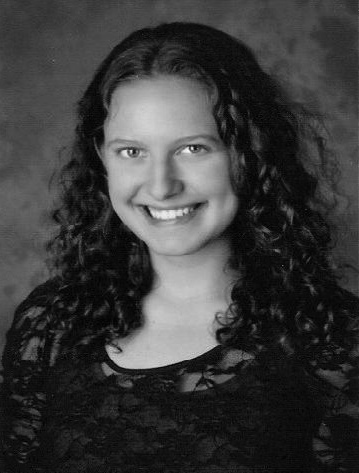 My name is Athena Mele and I am writing to thank the American Running Camp for selecting me as a recipient of the Walter Burgess Scholarship. I am extremely grateful to have received the Walter Burgess scholarship allowing me to attend the American Running Camp this summer. Camp expanded my knowledge about becoming a healthy runner, both training and nutrition wise. We learned about everything from safe stretches, to core exercises, to setting short and long term goals. No matter what there were always opportunities to learn more and receive helpful advice from experienced runners. There were plenty of creative group activities that kept camp interesting and extremely enjoyable.There was always fun to be had, even during the toughest of workouts. I cannot wait to attend camp again in the future!! In addition, I truly believe that attending camp will impact my upcoming season and my running career as a whole. I am very grateful to have received the scholarship and been given a head start to my fall training. I cannot express how thankful I am for this opportunity. P.S. I look forward to volunteering at the Walter’s Run 5K this winter. I want to start off saying thank you for choosing me to receive one of the Walter Burgess Running Camp scholarships. Not only did this camp give me great training that will help me throughout the season, it also opened my eyes to different ways to stretch, running techniques and strengthening ideas. I am definitely going to be bringing the new stretch and strengthen tips and tricks back to my team, who I know will also be grateful for this. From this camp, I definitely have my goals set out for this season and am now in the right mindset to achieve it. I am very grateful to have received the Walter Burgess American Running Camp scholarship. The scholarship granted me the opportunity to attend the influential camp. The camp taught me the many skills of running such as pace, technique, teamwork, and so much more. But most importantly, the camp taught my fellow campers and I how to enjoy and have fun while running. None of this would have been possible without the help of the Walter Burgess scholarship. Thank you again for the opportunity and I sincerely hope to attend the Walter Run this December. I am extremely appreciative for the scholarship given to me for the ARC by the foundation. I have qualified for the Footlocker Nationals in San Diego the weekend of Walter’s Run. My thoughts will be with you and hope you have a very successful race weekend! Hello! I wanted to say thank you so much for the scholarship. I had a wonderful experience and made friendships that I hope will last a lifetime. I am so grateful for the material that was taught to me and so appreciative that I was able to go. My name is John Dowling, and I am a rising senior at Dedham High School. 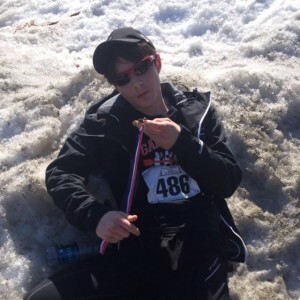 I am new to running (began less than 2 years ago), and I usually run mid-distance events for my school’s track team. However, my coach suggested that I try your cross country camp this summer, and I’m glad I did. I was very grateful to receive the Walter Burgess scholarship and to be able to attend your camp. I’m not a cross country runner, but I really had a lot of fun working with this camp to improve my distance running. I was so lucky to work with such good coaches and to meet world-class runners like Kerri Gallagher. I felt so lucky to be able to watch a champion work out. Her passion and determination inspired me to work harder as a runner. I also had a lot of fun meeting other kids that were just as interested in running as I am. The camp was full of runners of all ages and all abilities, so everyone felt welcome. The best part of the program was the variety of activities offered. Apart from heavy workouts, we were able to learn about nutrition, motivation, and other ways to exercise. Thank you for the opportunity to experience this camp through the Walter Burgess scholarship! I had so much fun this past week, and I hope I am able to return next summer! P.S. I look forward to Walter’s 5K in December! The American Running Camp has shown me that no matter what the odds are, as long as you work hard there will be accomplishments . This is found through all the guest speakers and there will to win. This camp has defiantly shown me to work harder if you want to accomplish your dreams through goals short, and long. I am very thankful for the Walter Burgess Camp scholarship and it really helped me a lot for a better running and in general career path ahead. I would be more than happy to run in the Walter 5k Run. Last note I highley recommend this camp to anyone who has an interest in running casual or for competition. Thank you for the scholarship. 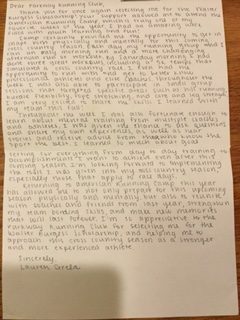 More thank you notes below that were sent to PRC from Walter’s Gang members after they attended their week of running camp. Dear Walter’s Club members, I would like to thank you again for awarding me with the American Running Camp scholarship for this year. For the past 2 years I have traveled to the Portsmouth Abbey school to train for my upcoming cross-country season. This past summer, there was talk of my local Gardner High school not having enough girls to run for the year, and I am just an 8th grader. This camp helped me to improve not just my times, but my confidence. As my cross-country season started, Gardner High school was trying to get a waiver to pull up all 8th grade girls. Before that had actually happened I had run for 2 of my middle school races winning both and smashing my own school record by 57 seconds from a 15:07 to a 14:10 on a 1.97 mile course. After that I was pulled up to help the Gardner High school, I was still only one of 4 girls and we needed 5 to compete. We had many girls run or walk for one race then leave the team. There were really only 4 true runners. As the season went on I had become the number 2 runner by only a couple seconds each race behind a sophomore. When the big races started to come up like districts, I missed making states by 13 seconds as an 8th grader. Just recently I ran a 5 mile turkey trot and beat the sophomore for the first time in 2 years, including when she had run with me in middle school track. The American Running Camp helped me see that running is a very hard sport but that I can do it. And that the harder I train the better I will become. I look forward to attending the American running camp for the rest of my high school career. Thank you again for presenting me with such a great honor of a scholarship. I would like to take this time to thank the scholarship committee for awarding me the Walter Burgess Scholarship to the American Running camp. I had a great week, meeting a lot of athletes and coaches from all over the country. Even though people were from all over the place, it goes to show you how small the running world is. The coaching staff was great and motivating. One of the coaches remembered a former C.M. athlete from years back who gave him a C.M. t-shirt. I was able to run with Matt Centrowitz Jr., which was pretty awesome, as well as train with top collegiate runners. The campus was really nice, but more importantly….the food was awesome! I definitely felt challenged, well conditioned and ready to start my xc season. Thank you again and although I am injured right now, I will make every effort to attend Walters Run in December. Editor’s note: Matt Centrowitz Sr. is a running camp coach and former Olympian. Matt Centrowitz Jr. won the bronze medal in the 5k at the World Championships in 2011. There’s no denying the fact that I have never been the fastest runner. I am no stranger to falling behind the pack or feeling frustrated with how I did on my time trial. However, every year, I look forward to attending American Running Camp because of the invaluable experiences I am able to share with my Guilford teammates and all of the learning that takes place there. I genuinely enjoy being part of my team because of how close everyone becomes throughout the course of the season. Running camp is a wonderful opportunity to get to know my teammates as friends that I will be cheering on during races and workouts, not just as athletes. Additionally, as I have recently realized, personal improvement is more important than how I measure up to my teammates. Although I envy their speed, the most I can do is to strive to break my own PR rather than worry about who is ahead of me. At camp this year, I was constantly surrounded by such a large number of people infected by a love of running, which added to my love of the sport. I truly enjoy running, not just the amazing experience I have on the team, and I have realized that I am allowed to enjoy and push myself no matter where I am in the pack. Hi, my name is Renee and I was one of the runners that received a Walter Burgess American Running Camp scholarship. The camp was so much fun and such a great experience! I definitely want to go again next year. I learned a lot while at the camp and I am excited to share with my team all of the information I learned. I was taught new stretches and racing tips that will be very helpful for this upcoming cross country season. I also met lots of amazing people while at the camp and they taught me how to be successful and have fun at the same time. I was also grateful because the camp leaders and counselors talked about college running and that is something I am very interested in doing. This camp could not have been any better and I can not wait until next year! Thank you for allowing this great opportunity by selecting me to receive a scholarship. The running camp was an amazing experience! Thank you again, Renee C.
My name is Anna and I am truly honored to have been a recipient of the Walter Burgess American Running Camp scholarship this year. My time at American Running Camp was very enjoyable and I learned many new things, that will further help me in my running career. I learned things from racing techniques, to nutrition to form analysis; that will help me become a stronger runner, and hopefully improve on my race outcomes. I thoroughly enjoyed getting tips from all the experienced runners, and learning things that I can bring back to my team this year. I made many new friends at camp and learned the importance of teamwork and self-confidence (when it comes to running). I thank you for the opportunity and will definitely come back next year!